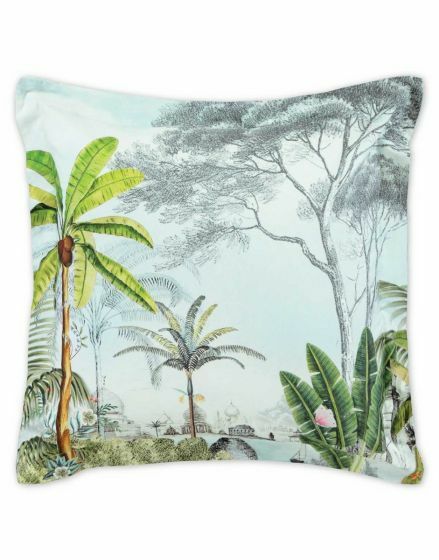 This square cushion is decorated with the Pip Jardin design: a print with and Oriental landscape with exotic flowers and plants in the foreground. 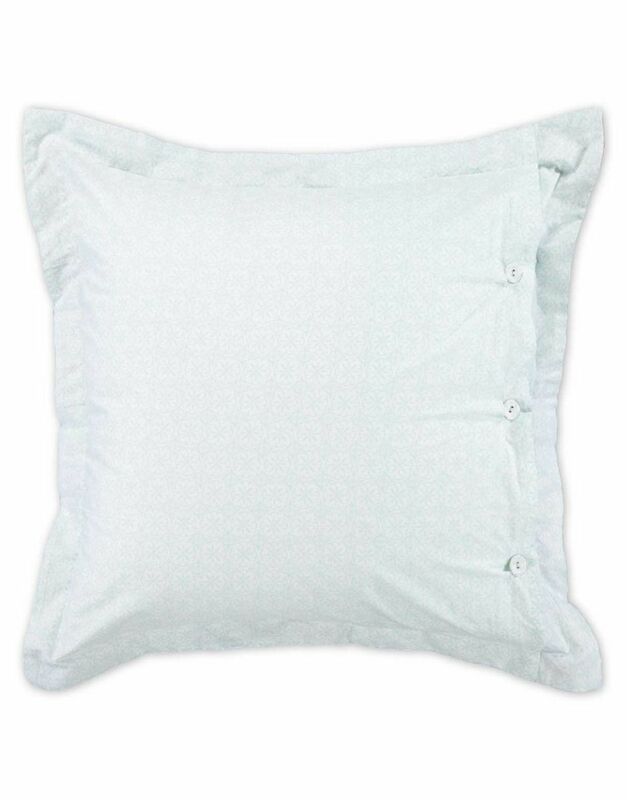 The Zellige print with geometric pattern is printed on the back and the cushion has a three-button closure. 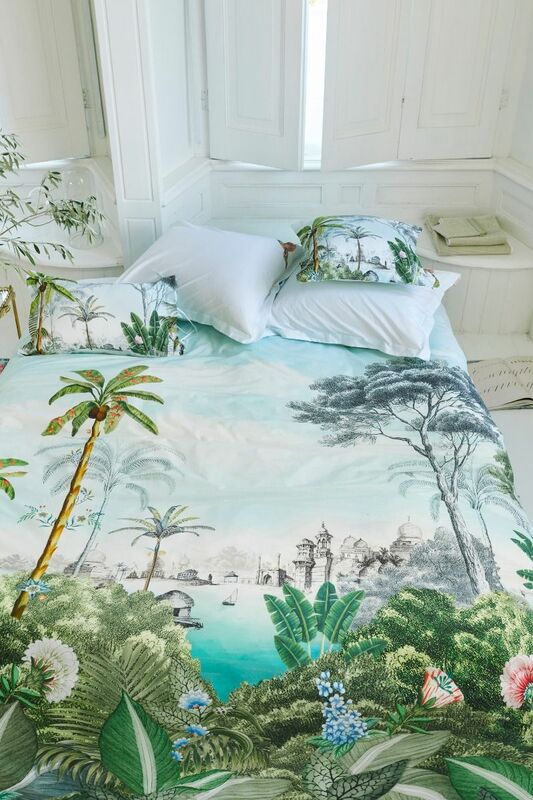 Great for combining with the duvet cover in this collection.